Coming of age story, love story, cold war thriller, an exploration of music – Ella Leya’s novel The Orphan Sky is all these and so much more. 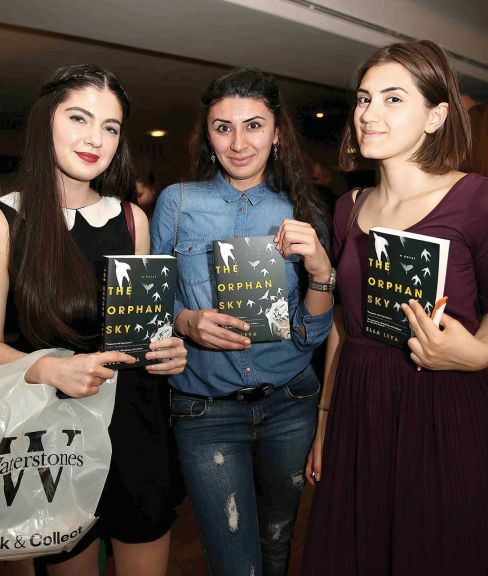 With most of the action taking place in Baku in the late 70s and early 80s, The Orphan Sky is, moreover, a rarity – a novel in English set in Azerbaijan. 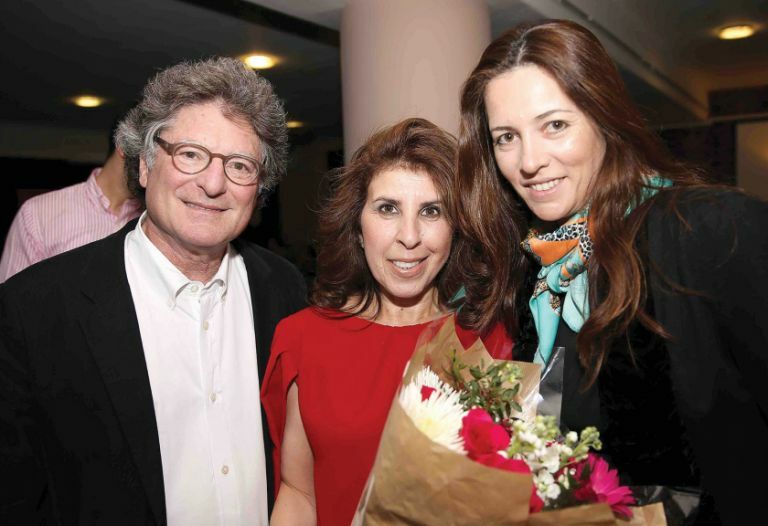 The narrator and heroine is talented pianist Leyla Badalbeyli. When the novel opens in 2002, Leyla is an émigré in California, her heart buried in the past. But the sight of a familiar painting at an LA exhibition, a depiction of the Maiden Tower with a lonely princess – half human, half bird – standing on its crown opens up her heart and her memories. Leyla was the model for that lonely princess, the firebird of legend, and she recalls the complex web of events that led to her posing for the picture in a dingy, dark Kabul hotel room and the heartache that followed. Leyla takes the reader back to Baku in 1979. An enthusiastic young communist and 15-year-old pianist of great promise, she is given the task of investigating a suspicious element budding artist Tahir who runs a music shop. From Tahir, Leyla hears banned recordings of classical and jazz music and opinions of the Soviet Union that shock her committed Komsomol ears. This begins her coming of age, as Leyla starts to question her beliefs, to make shocking discoveries about her own family and to fall in love with the enigmatic Tahir. But she will face agonising choices – between Tahir and ambitious, manipulative Farhad, between Soviet success and self-expression, between betrayal and her music, between her family and freedom. Maybe the strongest dichotomy running through the novel is that of truth and lies, appearance and reality. The kingdom of crooked mirrors. Nothing is as it looks, Leyla’s mother Sona khanim, tells her. She is speaking of the Soviet system in Baku, but could also be speaking of her own family. But, with time, we learn that this crooked-mirror reality is the only reality that we’ve got in our lifetime. And we have to make the best of it. Sona khanim makes the best of it in her way, Leyla’s milk sister and best friend Almaz in quite another, while Leyla ultimately rejects her mother’s view and opts for a different reality. Legends of the Maiden Tower are another leitmotif. And it is one of the legends about the Tower, a Baku landmark whose purpose and origins are indeed shrouded in mystery, which gives the novel its title. When we were children my sister had a friend, Badalbeyli. I always thought her name was melodious and theatrical. 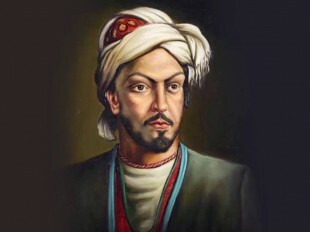 When I grew older, I found out that Badalbeyli was the name of a dynasty that had given Azerbaijan wonderful musicians, including Afrasiyab Badalbeyli. He wrote the first Azerbaijani national ballet “The Maiden Tower.” So this was a natural and easy choice for my heroine’s surname. The Orphan Sky is bursting with ideas, emotions and colour, like an Azerbaijani carpet or Baku’s Taza Bazaar. At times the plot complexities, allusions and cultural references threaten to overwhelm, but in the end the plot carries the reader through. 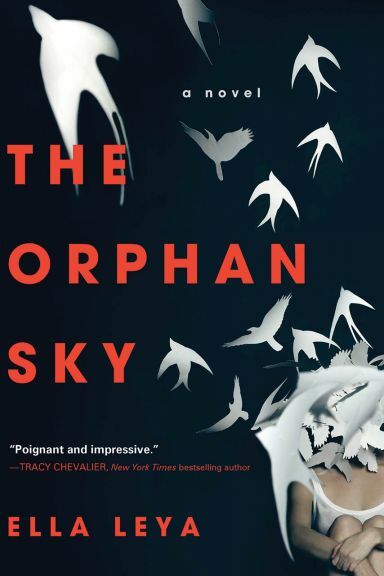 The Orphan Sky is undoubtedly a page turner. While the book pays loving homage to Azerbaijan’s traditions, food and music, it is not all sweet halva. For example, Baku’s Taza Bazaar, the setting for several episodes, is home to the Rose Garden Fairy selling her baklava of paradise and, at the same time, to near-unspeakable horrors. Ella Leya’s depiction of Baku life in the late 70s and 80s is fascinating, though a few of the details appear to be more plot device than authentic colour; for example, the wearing of chadors. A teenage girl who wore a chador as a “disguise” in 1979 Baku, as Leyla does, would have stood out like a sore thumb. 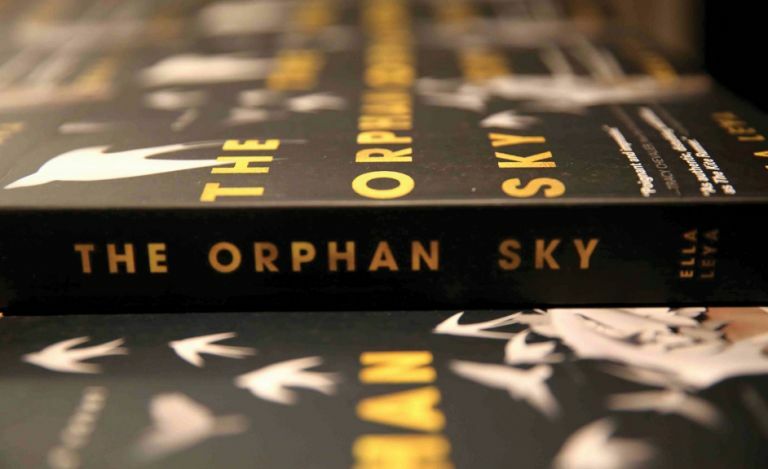 My copy of The Orphan Sky includes a short interview with the author. She reveals parallels with Leyla’s story – Ella Leya grew up in Baku and learnt to play classical piano from a very young age. She became fascinated by jazz and learnt from Vagif Mustafazadeh, who pioneered Azerbaijan’s own brand of jazz. Ella was playing and singing in a jazz club in Moscow in 1989 when US magnate Armand Hammer heard her perform. She got talking to his entourage, confessed her desire to leave for the States and a week later was summoned to the US embassy to be told that she could emigrate with her son, Sergey. Sadly, Sergey was diagnosed with leukaemia and died three years later. Ella says that after Sergey died music was all she had to hold on to. This too is reflected in The Orphan Sky, when Leyla has to cope with her own grief. One mystery, though, concerns the author. Why is she not better known in her native Baku? An Internet search reveals Ella Leya’s website (www.ellaleya.com) and a string of jazz albums, some fused with the rhythms of Azerbaijan, others with the soulful reach of Russian “romances.” She has performed her material for TV and Hollywood films, including the popular Oceans Twelve, but has not (yet) performed in independent Azerbaijan. The Orphan Sky deserves to make Ella Leya and her music better known in her homeland. An absorbing, thrilling and at times disturbing read, it’s a must for anyone interested in Azerbaijan. About the author: Anne Thompson-Ahmadova is a freelance writer and editor and former editor of Visions of Azerbaijan.